Looking for new bar stools? 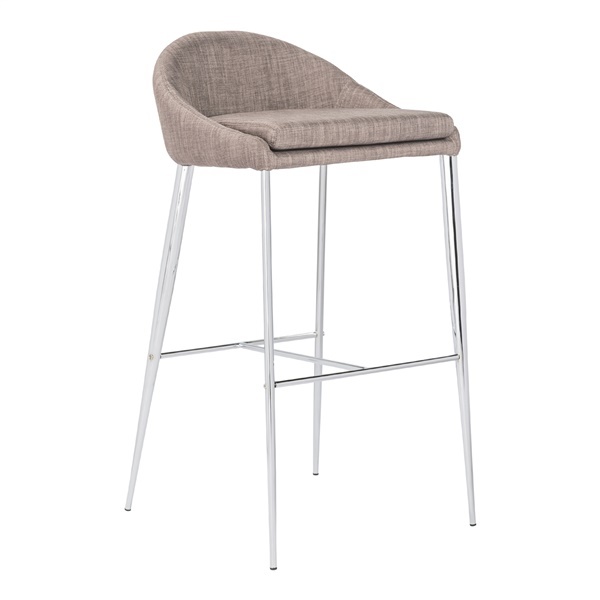 This Brielle-B Bar Stool from Euro Style are a great option. This beautiful and comfortable stool has foam seat covered in your choice of colored fabrics. With the pleasing low profile of the back and seat, it�s comfortable to sit on and can work with traditional or modern d�cor. The sturdy legs are made from chromed steel and offer a durable base for the stool.